In today's world, advances in technology bring higher safety levels and convenience to every aspect of life as well as economic growth. Along with the advantages, it also brings the negative side effects such as pollution and damages to the world's ecosystem. Many countries are seeking more sustainable and greener solutions to help combat these undesirable results. If widely adopted, electric vehicles (EV) are one of the emerging solutions that can have a positive impact on our planet to help reverse some of the damages. Several national and local governments have established tax credits, subsidies, and other incentives to promote the introduction and adoption of electric vehicles. According to one survey conducted by Accenture, a convenient EV charging infrastructure will be one of the key factors for a successful EV market. Currently, there are two primary charging locations, at charging network location or home. Both sources involve challenges in terms of power management and infrastructure that will need to be addressed. Charging using a street or parking lot charging station is called public charging infrastructure. These stations are strategically placed to minimize stops during long-distance travel and are conveniently located near restaurants, shopping centers, and Wi-Fi hot spots. 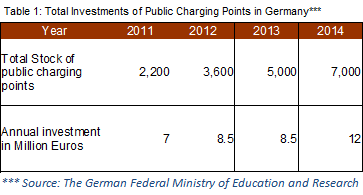 One report released by the German Federal Ministry of Education and Research shows there are 7,000 charging points and 12 million Euros in investment spent to create these EV charging stations in Germany in 2014. The number of charging locations went up 40% from the year 2013. Please refer to the following table for more details. Based on IHS Inc., the number of available global EV charging stations will skyrocket by the year 2020. Japan currently has more than 2,800 fast-charging stations and is leading the pack. Europe and North America are trailing, but the infrastructure is being built and supported by major OEMs including Audi, BMW, Mercedes, Chrysler, and Volkswagen. 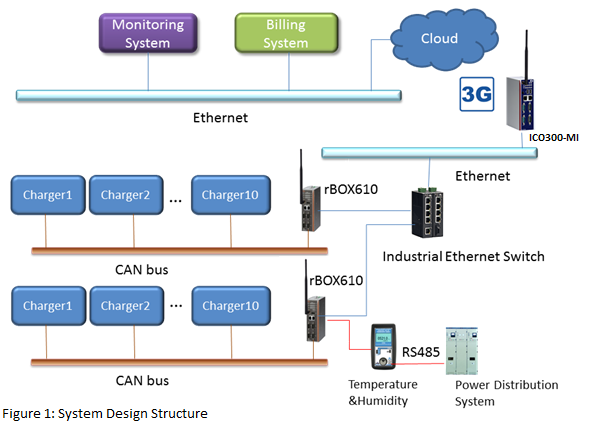 With the increasing number of charging stations, one of the problems that we will encounter in EV charging infrastructure is a network connection and centralized management. Most charging stations are unmanned, and many are in suburban areas which are far away from centralized control rooms. 1. Charging stations are dispersed geographically. The distance between charging stations and control rooms are often great, making operational control and maintenance a challenge. 2. 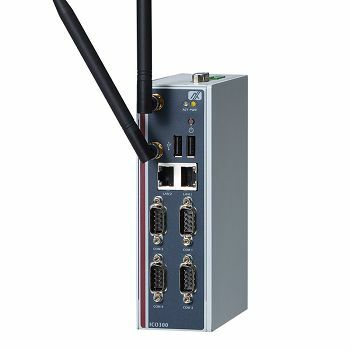 Network connection, including WI-FI/3G, is required to make data collection and remote management feasible. 3. Different vendors supporting different charging stations use a variety of protocols that are not standardized, hence, a need to convert data between charging stations and control rooms. 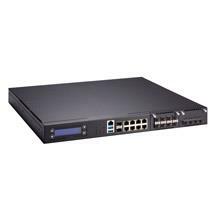 In order to meet these requirements, our customer chose Axiomtek’s rBOX610, ICO300-MI and industrial network switches as a total solution. 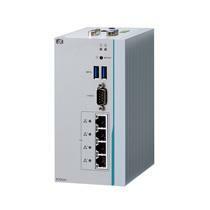 The rBOX610 plays the role of a remote controller, collecting data from sensors, i.e., temperature, humidity and power distribution via RS485. 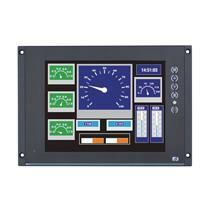 It also acts as the interface between the charging piles, retrieves data via CAN bus and forwards it to the ICO300-MI. The ICO300-MI acts as an IoT Gateway. 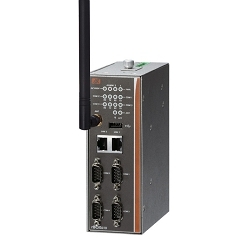 It receives data from many rBOX610 units and transmits it to the control room via a private cloud using a wireless connection. 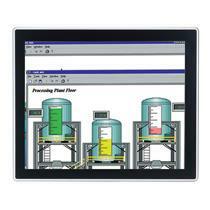 The backend monitoring system receives and processes the data, then displays it where required. 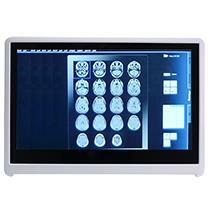 Customized information can be processed and forwarded for different purposes including information for billing. 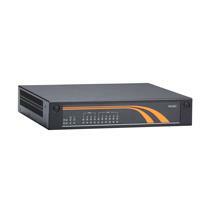 Axiomtek's rBOX610 is a cost-effective DIN-rail, fanless embedded system that utilizes the low power RISC-based module (iMX-287) processor. It is designed to withstand temperatures ranging from -40°C to +70°C for use in extreme operating environments including outdoor locations. 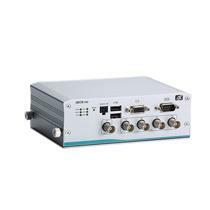 The rBOX610 features four RS-232/422/485 serial ports, dual LANs, four digital input channels, four digital output channels, two CAN bus and one eMMC onboard 4 GB and 1 x SDHC socket for storage expansion in a compact, IP40 protected and industrial-strength robust case. 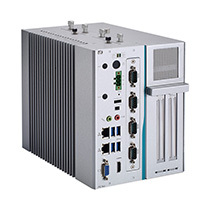 The ready-to-run rBOX610 is specially designed for remote control/monitoring management applications like unmanned charging stations, traffic cabinets and more. 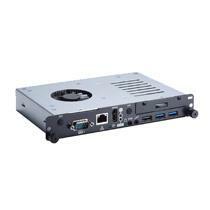 Additionally, the rBOX610 comes with the Linux 2.6 platform pre-installed to provide an open standard operating system for software program development so customers can use our kernel to develop and compile their software easily and efficiently. 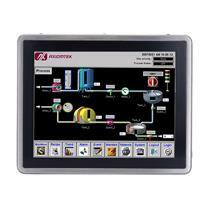 This makes the rBOX610 an optimal solution for minimizing the cost and effort required for industrial applications. In this case, the customer developed their own programs under Linux to acquire and buffer charging and sensor data such as charging status, voltage and current, and charging time from charging piles via RS485 and CAN Bus. 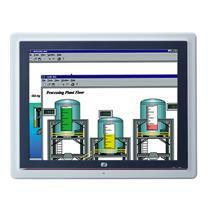 The program also supports remote access to charging piles from the control room. Errors are monitored during charging. 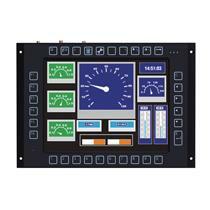 If one exists, the system will forward the error code to the control room and notify the maintenance staff. Besides the remote controller, an IoT gateway is also needed in charging stations to forward data to a centralized data center via the cloud. 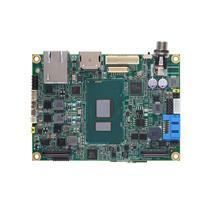 Axiomtek's ICO300-MI offers a fanless, rugged design and utilizes the low power and most advanced 22nm Intel® Atom™ processor E3815 (1.46 GHz) in the market. 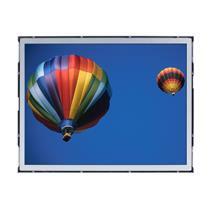 It supports DDR3L system memory of up to 4GB, delivering high performance at a competitive price. 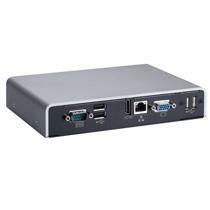 This intelligent Intel® IoT gateway solution is feature-rich and comes equipped with Moon Island Intel® IoT software stack for security, connectivity, and manageability. 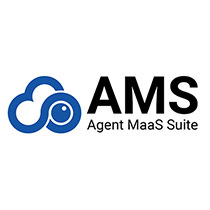 It offers complete expandability and many useful features. 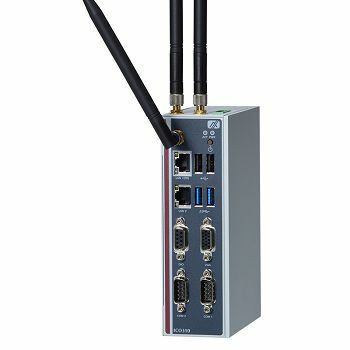 Its expansive wireless connectivity options include one full-size PCI Express Mini Card, one SIM socket, four RS-232/422/485 ports, and two isolated Gigabit Ethernet ports. 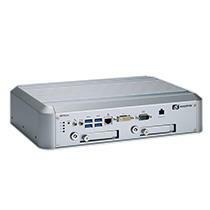 Other features include two high-speed USB 2.0 ports, RTC battery function, and wide range 12-24VDC power input with a terminal block. 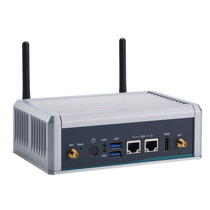 This reliable ICO300-MI embedded system is a perfect solution for IoT, industrial and embedded applications such as power plant automation, facility monitoring systems and other harsh environments. EV charging stations are often located in an outdoor environment. 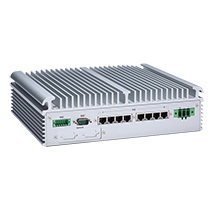 The ICO300-MI supports an extended operating temperature range from -20°C to +70°C, making it an ideal choice for outdoor applications as an IoT gateway device.